The Guy Behind the Blog | gright or gwrong? The name’s George Wrong. I was destined for failure, or at least my surname thinks so. I’m 22 and a nobody, but I’m going to change that. I dabble in the hopes of making it big, but my time has not yet come. I have a degree from the University of Virgina with a double major in Computer Science and Dairy Sciences (Yes, I know, but it only took a few more classes to complete the path). Maybe the real world is just not quite ready for my entrance. Much of my time is spent in my head or on the Internet; most would call me a peruser of all things intangible or electronic. Some would consider me a nerd or even “that guy from the Internet,” but I have my close friends who think otherwise. My skills span from Web development to professional message board posting. My online alias, gwrong, is revered on multiple online role playing games as fierce and unforgiving. Gwrong is known for his lightning fast Yahoo! Answers replies. Gwrong is a master fine tuner of any small scale website. You name a mainstream website, I’ve been there, and so has gwrong. Am I employed? I would like to think so, but the absence of paychecks tells me otherwise. My work is an effort to raise up the young “w4rl0rd755” in online games, to educate my fellow HTML developers on proper technique, to incorporate myself into the e-world. I read books, if anything to provide another stepping stone towards my inevitable burgeoning into the next Gabe Newell or Markus Persson. My favorite books include How to Win Friends and Influence People, Brave New World, and A Brief History of Time. If I have spent a minute in an activity that leaves me just as close to stardom as I would have been not doing it, then I have let a minute of opportunity fade away. In other words, I run on efficiency. I look for ways to improve myself at every avenue, and this is likely to be a subject of at least a couple of my commonplace blurbs. I am a sucker for inspirational quotes, videos, and books, so I will certainly blog about multiple of these. I picked up blogging as a way to get my name out there. I may be taking baby steps, but every step counts on my path to fame. Bell, Killian. “Valve Founder: We Must Establish Steam Box Before Apple Takes Over The Living Room,” cultofmac.com. 31 January. Web. 10 September 2013. Clark, Kristoff. 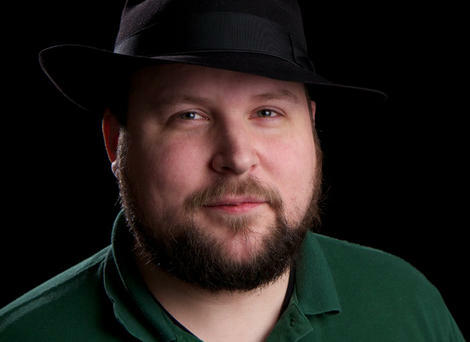 “Minecraft Mastermind Markus Persson to Receive BAFTA Special Award,” bafta.org. Web. 10 September 2013.